On November 14, 2017, tickets for a 3D show of the German quartet KRAFTWERK, pioneers of electronic music, to be held on February 13, 2018 on stage at the State Kremlin Palace in Russia, Moscow, are selling on a Blockchain. This is the agreement reached by Russian concert agency TCI and international ticket platform Tickets Cloud, which has developed the crypto.tickets Blockchain platform. For the first time, tickets for such significant entertainment event are selling using a distributed ledger. Blockchain tickets can be purchased at www.kraftwerk2018.ru* by selecting the “cryptoticket” option. The Tickets Wallet app (for Android & iOS) must also be downloaded. Information about ticket purchases is available in the app. Admission will be controlled by “tearing a stub” right on the user’s mobile device, eliminating the need to scan tickets. Crypto.tickets is built on the Ethereum platform. More than forty years ago, KRAFTWERK realized that the computer was mankind’s future, and the group began to use it in their creative work more than anybody. They are considered to be the creators of electro music, and many believe that KRAFTWERK is responsible for the emergence of techno. It is therefore entirely unsurprising that tickets to their concert will be sold using Blockchain technology. 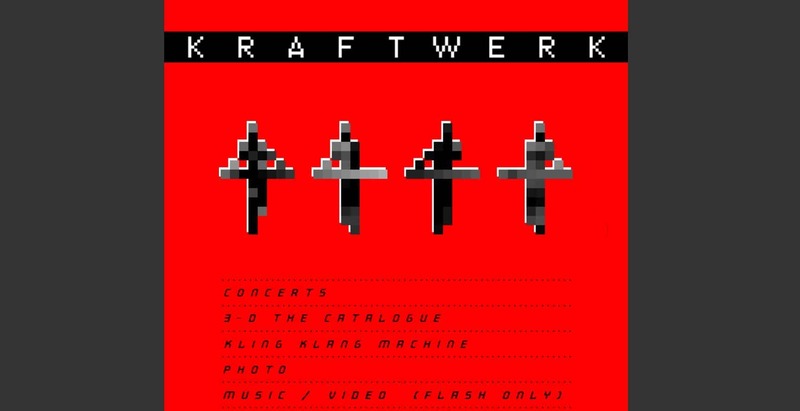 But selling crypto-tickets isn’t just a visionary position adopted by KRAFTWERK. Using Blockchain in the concert industry will make it possible to solve a host of problems: ticket scalping, ticket fraud and counterfeiting, partial ticket sales, and the lack of a unified mechanism for returns. This problem is also extremely relevant for Russia. Up to 20% to tickets to Moscow’s most popular theater are sold to the secondary market, where the risks of buying fake tickets multiplies. Scams can be found all over the world: in 2016, there were sales of fake tickets to concerts for Adele and Justin Bieber; and the management of Italian football club Juventus released more tickets for sale than there were seats in the stadium. Blockchain technologies allow a spectator to be 100% sure that his ticket belongs to him alone. All transactions are executed and “saved” in a distributed ledger. A ticket can also be gifted, resold, or returned, but the most important point is that, thanks to Blockchain, the ticket’s history (path) as well as information about all of its owners will always be visible. Additionally, Blockchain solves the problem of illegal copying and counterfeiting of tickets. “First, we had the paper ticket, then electronic, and now we are moving to crypto-tickets. KRAFTWERK became pioneers of an entire stratum of modern culture, and selling crypto-tickets to their concerts is a symbolic event,” said Egor Egerev, founder of Tickets Cloud and the crypto.tickets Blockchain platform. “Technologies do not stand still, and the emergence of crypto-tickets solves the most pressing problems in the industry: counterfeits, fraud, and scalping. TCI always tries to be ‘stay informed’ and is pleased to master new technologies that will help us and spectators feel safe and keep pace with the 21st century,” said a financial director at TCI Nikolay Sinitsin. * www.kraftwerk2018.ru – the website for tickets purchase is in Russian only, because it is oriented on the Russian-speaking audience.